Have a sweet tooth? This bear does! 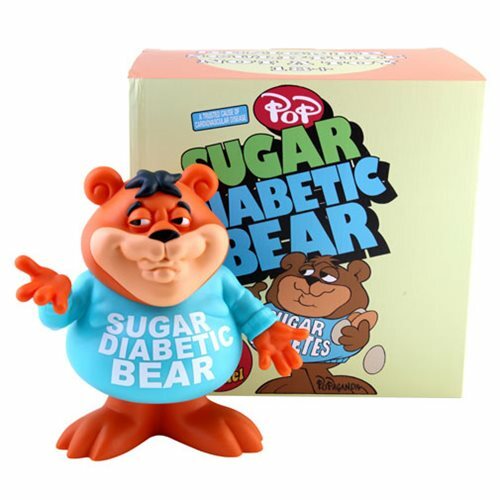 The next character to join Ron English's unforgettable Cereal Killers Collection is Sugar Diabetic Bear. Measuring about 8-inches tall, this vinyl figure comes with a cereal themed box which harkens back to the days when sugary cereals captured the hearts of young America by giving away cheap toys made in China in every box. Ages 18 and up.